Earlier this year, Major League Lacrosse announced the expansion to a ninth team as Atlanta, Georgia will become the host to a professional lacrosse team. 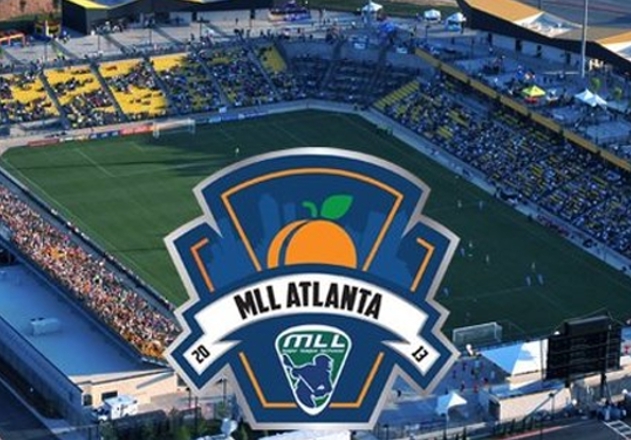 With the addition of the Atlanta Blaze, the MLL has seen two new teams in each of the past two years, the other being the move of the Hamilton Nationals down to Florida as they became the Florida Launch. Where does the MLL go from here? While adding a professional team to a new lacrosse hotbed is certainly a step in the right direction, it doesn’t mean that there shouldn’t be another addition, and quickly. When I say quickly, I mean now. I get it, lacrosse isn’t going to be attracting big businessmen and women to come out of the woodwork and support a team by themselves. The sport isn’t profitable enough yet to make such an investment a sound one. However, here are a couple of reasons as to why the MLL would be wise to add one more team to the league before the season starts. When looking at the talent on each roster, there seems to be too much top end talent on every roster. While that leads to some really juicy matchups, it begs the question as to why there is so much talent on so few rosters. Why not expand by another team and break up and disperse that talent across the league some more? Let’s take the Ohio Machine for example, who have done a great job of building through the collegiate and LXM Pro drafts and have accumulated an incredible offense composed of Kyle Harrison, Peter Baum, Marcus Holman, Tom Schreiber and Logan Schuss. Let’s also remember that the Chesapeake Bayhawks in 2014 had about every major offensive weapon on their team at once in Kevin Crowley, Joe Walters, Drew Westervelt, Kyle Dixon and Brendan Mundorf. My point is that if there is this much talent on two rosters, then there is enough talent for half these players to be on two different teams. Staying with the example, let’s put Schuss, Schreiber and Harrison on the Blaze and Mundorf, Westervelt and Dixon on this hypothetical 10th team. Obviously, the Bayhawks and Machine are worse but the two new expansion teams have some foundational players on the roster and their previous teams are still pretty good. This leads me into my next point…. 99.9 percent of the players have a job outside of lacrosse. While that will likely be the case for the foreseeable future, if more roster spots are available with a 10th team, players towards the bottom of the rosters on the other eight teams could be tempted to play more than they planned, knowing that they have a shot to play. With one more team to be included with the Blaze, there are now 46 spots available. Also depth is now more important than ever across the league. There is going to be less top heavy talent across all rosters but that is bound to happen when you expand, like any sport. Then again, there might be a ton of hidden talent that haven’t had the opportunity to play. Take these statistics for instance. In 2015, 60 players were taken in the collegiate draft and 96 players were taken in the supplemental draft. Not to mention, the Blaze get to choose from a pool of 88 players in the expansion draft. That’s an insane amount of lacrosse players that are viewed as having the ability to play professionally but clearly, there aren’t enough spots to employ a small percentage of those draft picks. Adding another team now, means giving more opportunities to these players. Another exciting scenario emerges as several “diamond in the rough” type players are bound to emerge. Maybe a guy like RIT midfielder Kyle Aquin, who was drafted by the Rochester Rattlers with the second to last pick in the MLL Draft, might have the opportunity to prove himself in the league. Aquin is a really good player who had 63 points last season at the Division III level. Who knows, maybe Aquin steps up and becomes a really solid No. 2 midfielder for the Blaze or this 10th team. I understand that if Aquin was good enough to play already, he would be on the field and more players dilutes the quality of play but there is just as likely of a chance of him surprising everyone and being fully capable of playing against Division 1 stars at the professional level. All I’m saying is let’s improve the chances for players to get a realistic shot at proving themselves. If they don’t, then there should be other players to choose from. If they do, then we as fans get a little excitement on the team and the media gets a nice little story to write about. Over the last couple of years, I’ve seen various commercials, teams, players, and social media accounts refer to growing the game of lacrosse in some sort of manner. Adding a 10th team is a small step in the ultimate goal of growing the sport. Lacrosse fans know that the sport is really growing across the country, especially at the high school level as we have seen really good players from Oregon, California, Florida, Texas, Arizona, Ohio and many others. The MLL added two teams on the west coast with the San Francisco Dragons and the Los Angeles Riptide. Maybe the league went too fast with their expansion as lacrosse was still relatively new out west. Should they try the No. 2 media market in the country once again or keep it on the east coast and head back to Philadelphia, New Jersey or even Chicago? Whatever city they decide, it would benefit the growth of the game and the league by giving it some validity among the other major sports in the country.